We have interviewed last week Dr. Peiman Habibollahi. Dr. Habibollahi has received his MD from Tehran University of Medical Science. 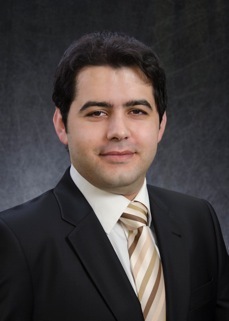 Before graduation, Dr. Habibollahi focused in the field of medicine, molecular biology, and genetics as a young researcher in the faculty of advanced medical technology at his university. Following graduation, he was awarded a research fellowship at the University Medical Center Groningen (UMCG) in the Netherlands. Inspired by his previous experience in the field of molecular medicine and his passion for translating these techniques into humans for improving and changing current diagnostic approaches, he joined the Center for Translational Nuclear Medicine and Molecular Imaging at Massachusetts General Hospital. There he works to develop novel molecular imaging technology in the field of stroke and molecular imaging of tumor microenvironment. My current research involves several areas but my focus is molecular imaging of stroke and tumor microenvironment. In the last few years, there has been growing interest for discovering novel neuroprotective drug regimens to be used as prophylaxis to decrease the extent of disabilities following stroke and CVA (cerebral vascular accidents). We have hypothesized that these neuroprotective therapies might affect the infarct size through altering the metabolic pathways in neural tissue and augmenting tissue tolerance against hypoxia. Though, developing a novel brain imaging technique for real-time in vivo monitoring of metabolism would enable us to acquire invaluable information about any of these medications and perform high throughput imaging for monitoring potential candidate therapies. Currently, it is not possible by any available experimental modalities. Developing novel multimodal approaches for the early detection of esophageal lesions in preclinical models of human disease is my other field of interest. I am working on protease activated fluorescent agents and multimodal imaging agents like fluorescent labeled nano-particles for this purpose. These agents along with methods to perform preclinical experiments on mice, which is highly challenging according to the relatively small size of mouse esophagus, would enable us to study the time course of changes leading to esophageal cancer in mouse models and to develop molecular imaging approaches for the early detection, which have the potential to be used for screening the esophageal lesions in future. I think Total Open Access publishing provides equal worldwide access to published material and makes science transfer much easier, especially for countries in poor economic conditions. Negative results can have a great impact, especially by saving a lot of valuable time and, in these days, scarce resources. These results can avoid retesting wrong hypothesis and might help researchers to modify their strategies according to both positive and negative results. I think there is a myth among researchers that negative results equals failure, which is absolutely wrong but one can not only blame the researchers for holding this belief while many journals are not interested in publishing such articles. I think this makes your work so important and outstanding that you are one of a few journals that has dedicated its scope to negative results. ARJ: Why is it that clinical field researchers have the most probability to deal with negative results? As a physician, I can tell you that being aware of negative experimental treatments and trials can have an even more important impact. In the clinical field negative results are just as important as positive results. For instance when more comprehensive studies prove that previous treatments or medical managements are of no benefit for the patients. ARJ: Do you think big pharma companies and their sponsored trials might contribute to not publishing clinical negative results? Conflict of interest has always been an issue between research and pharma companies due to huge investments in such projects, there exists a potential tendency to not share such results with public. This is not always the case because many novel therapeutics are currently being tested in well known institutes that warrant publicizing the negative results, because those institutes would never let any company ruin their fame and credit in the field. ARJ: Everybody is talking about the "file drawer" problem: those experiments that fail to prove an idea aren't normally published. What are the consequences of this problem? As I mentioned before, it would result in wasting a lot of resources, time, and energy. Many people would test an incorrect idea over and over while no one publishes it. All these problems can be easily avoided by just publishing negative results. ARJ: What might be the causes of the file drawer problem in clinical research? Again the tendency of journals to publish positive results is the main factor, but this can be potentially dangerous. Sometimes a huge amount of negative results about a correlation, which does not really exist, are not being published but in contrast, a few studies are being reported where the correlation is observed by chance. This could potentially introduce bias to many decisions in health care and even resource allocation. ARJ: How do you normally manage negative results in your lab? Are (NR) common on a regular daily basis? Any research lab deals with huge amount of negative results on daily basis. That is part of our job and our intellectual challenge. Our research is mostly about developing new imaging technology and testing it. Negative results here mean that we need to modify our approach until we find the correct method. By publicizing our results we avoid wasting resources, but still sometimes there is a dead end or a strategy completely fails. In those circumstances, reporting is essential, but to be honest we do not usually do so. ARJ: What feature of The All Results Journals do you like most? The fact that you are paying attention to negative results is very important for me plus it is an open access journal. I am really interested in publishing some of my findings in All Results Journal in a near future. Very good points. I particularly like this "...a huge amount of negative results about a correlation, which does not really exist, are not being published but in contrast, a few studies are being reported where the correlation is observed by chance...."